Mumbai: The rupee stayed weak on Thursday due to a sluggish local share market along with subdued global risk appetite ahead of an Italian debt auction, a key event which is expected to give cues on Europe’s economic outlook. However, a big slide in the rupee was unlikely as the Reserve Bank of India is likely to step in and keep the local unit’s fall under check by selling dollars, they said. 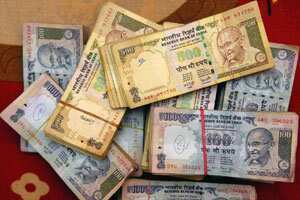 The Reserve Bank of India is suspected to have intervened in the foreign exchange market on Wednesday helping rupee recover some losses. At 2:37 pm, the rupee was at 53.33/34 to the dollar, weaker than Wednesday’s close of 53.07/08, and the unit is likely to stay in range of 53.25 to 53.50 in rest of the session. India’s benchmark share index was down 0.4% while the euro fell to a fresh 10-year low against the yen on Thursday, driven by selling from Japanese retail investors and exporters.